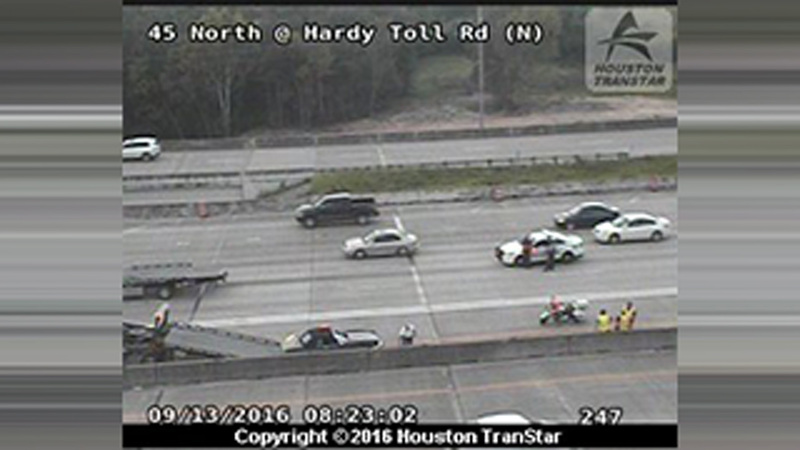 HOUSTON (KTRK) -- Expect delays after a crash on the North Freeway southbound at Hardy Toll Road. Six vehicles were involved in a wreck that is now causing backups as far as FM 1488. If you have the travel the southbound lanes of the North Freeway, make sure to give yourself plenty of extra time. Slick roads are especially problematic, so you'll also want to stay alert and drive cautiously.